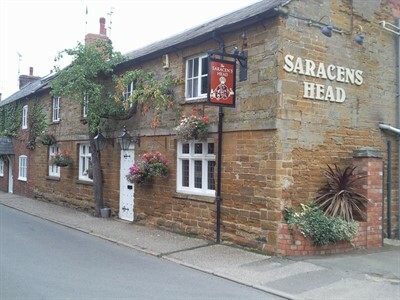 Leading National Licensed Property Agents Guy Simmonds have sold The Saracens Head, Little Brington, Northants. This recently sold business sits in the heart of rolling countryside only 2 miles from the Stately home of Althorp House (the ancestral home of Diana – Princess of Wales). Richard Fletcher from Guy Simmonds stated that “This was a highly unmissable opportunity for the new owner to purchase this delightful, thriving and popular business set in stunning Northants countryside close to the ancestral home of Lady Diana. This new business venture has got the entrepreneur purchaser very excited and was sold to David Ashforth off an asking price of £120,000 immediately after going on the market. David will be working in partnership with Matthew & Emma Wright who will be running the inn themselves. Matthew & Emma know the area and locals well after having run a licensed property not too far away and they are looking forward to continuing the same offer, service and high standards that the previous owners maintained. They look forward to welcoming customers both old and new”.